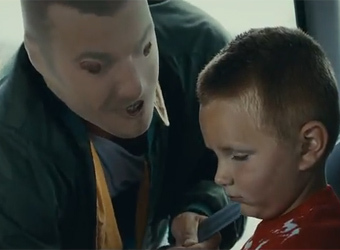 This anti-drinking ad from Finland paints a disturbing picture of what a drunk parent looks like to their children by casting them as monsters. Created by Euro RSCG Helsinki, Grillifilms, Sauna International and Studio Arkadena, for not-for-profit organisation, Fragile Childhood, ‘Monsters’ is a confronting spot that shows children at the mercy of their parents who appear deformed or as characters from children’s nightmares. Uploaded to YouTube on 11 September, the campaign aims to highlight the harm parental drinking problems causes to children. It is designed to encourage people to participate in discussions about responsible parental drinking on a Facebook page. The geniune fear on the children’s faces casts a vivid depiction of just how ugly a drunk parent can appear through the innocent eyes of their child.